How Can I Feel More Healthy, Wealthy and Wise? Are you wondering how you can be feeling more healthy? A feeling of health, wellbeing and full healing potential are realized when the Central Nervous System (CNS) is free of tension, torsion and pressure. The CNS is responsible for regulating and healing the body. Wouldn’t it make sense to keep the CNS free of stress to keep the body healthy as intended? How do you achieve a feeling of health, wellbeing and healing potential? How do you keep your CNS free of stress? One way that I have discovered to achieve such a state is by following a chiropractic lifestyle. First, maintaining a regular chiropractic adjustment schedule to keep the CNS free of tension, torsion and pressure, from the accumulation of daily physical, chemical and mental-emotional stressors. Second, minimizing the daily physical, chemical and mental-emotional stressors. The Torque Release Technique adjustments, target primary points of tension on the CNS. Releasing primary points of tension allow for maximum healing with each adjustment. When adjustments are coupled with reducing chemical stresses by eating an anti-inflammatory diet, supplementation, and reducing physical stresses by participating in weekly back care and posture classes to rehabilitate the spine, we can enjoy relief. Click here to see when I will be teaching a two hour Back Care and Posture Class. The class is designed to reduce the physical stresses from life by stretching and strengthening key postural muscles. 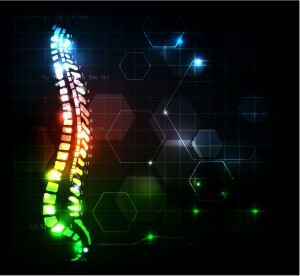 When posture is rehabilitated the spine moves better and bares gravity appropriately. Come join me to work on reducing the physical stresses in your life! Learn to stretch and strengthen key muscles to help you move and age with grace. Spots are limited! Sign up now to reserve yours.